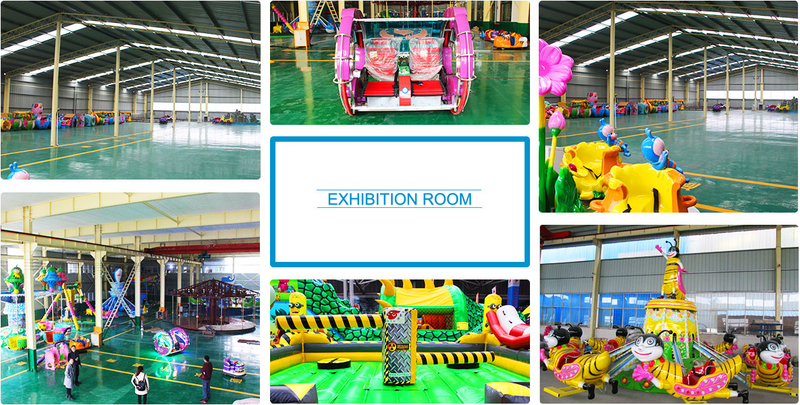 Jinshan is specialized in designing, production and selling carnival rides and playground equipment. Under the support of a number of excellent R&D personnel and skillful technical workers, products of our company are popular with all customers at home and abroad and enjoy high popularity. Our main products are merry-go-round, mini trains, self control machine, bumper car, human gyroscope, jumping machine etc. We have more than one hundred kinds of products. We have complete model, appropriate designs and good quality, get very positive market reflection. All products are under national amusement machinery manufacture quality standards. Meanwhile, we provide customized service, which can product equipment as customer’s special requirement. Our company welcome friends from all over the world to visit us. We are seeking reliable business partners and buyers sincerely, for the goal of establishing long-term, stable and mutually beneficial trade partnerships. Our main products are: merry-go-round, children trampolines (inflatable castle type and steel frame structure type), small trains, small rock lift air crafts, small storage battery cars, chase tanks, little monkey pull carts, etc., totally more than one hundred kinds of products. We have complete specifications, appropriate designs and good quality for positive market reflection. All products are according to under national amusement machinery manufacture quality standards. Meanwhile, the sizes and appearances of products can be made in different types according to users’ requirements. 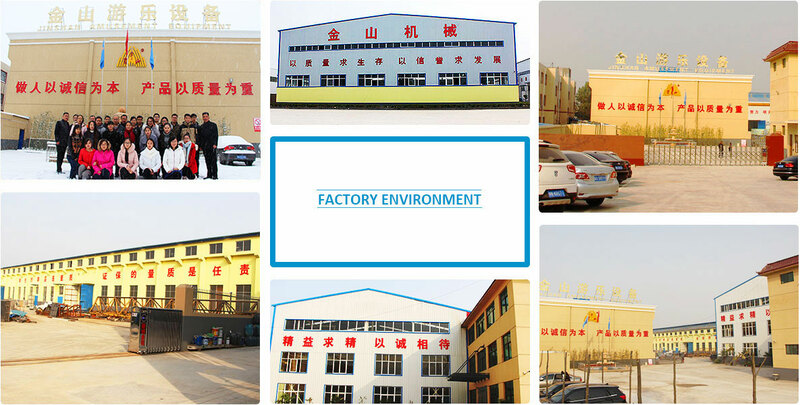 Besides, our manufacture scope includes kindergarten facilities. Our company warmly welcomes friends from all over the world to come to visit us for guidance. We are sincerely seeking reliable business partners and buyers, for the goal of establishing long-term, stable and mutually beneficial trade partnerships. We hope to make progress and development together with customers and partners with the first-class management, first-class products, first-class quality and first-class service.